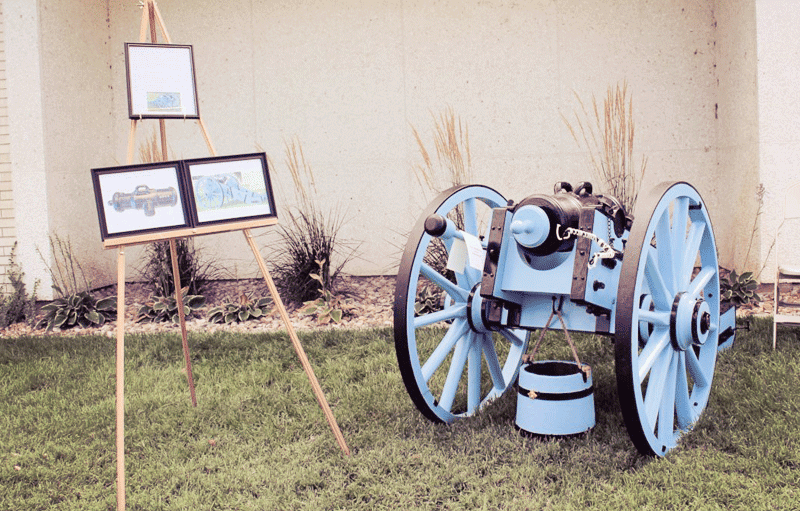 Howitzer Cannon manufactured by Hern Iron Works received “Best in Exhibit” Award at the Hooper Tomato Days (founder’s day) celebration exhibit. An honorable thanks to Ken Hummell for purchasing one of our Howitzer Cannon’s and for representing Hern Iron Works in the Hooper Tomato Days Celebration. The barrel was cast by Hern Iron Works located in Coeur D Alene, Idaho. It’s comprised of gray iron cast about a 3″ inside diameter seamless steel tube or sleeve of 1/2″ wall thickness. The barrel measures 25″ from the muzzle to the aft end of the cascabel. The outside diameter at the base ring is 8 5/8″ and 8 1/8″ at the muzzle swell ring. The barrel was modified by Mr.Hummell for firing by the incorporation of a threaded vent with a vent piece for firing.